Olympic sprinter and Commonwealth medallist Christian Malcolm has nothing but praise for his new coach. Malcolm, a former European and Commonwealth 200m silver medallist, is now coached by UK Athletics' sprints and jumps coach Rana Reider. And the 33-year-old says the American's experience will only help him in the latter part of his career. "He's an established coach," Malcolm said. "The reason why I've changed is mainly [because] my coach has gone back to America and they've got the same philosophy of training. To me it was a no-brainer. "He's coached quite a few Olympic champions. He's coached Christian Taylor and Danielle Carruthers. Now he's coaching a lot of British Olympians." Reider, the 2011 United States' Track and Field coach of the year is one of UK Athletics' new full-time coaches at Loughborough. Malcolm, previously coached by Dan Pfaff, admits he considered quitting following the 2012 Olympics but plans to prolong his career until after the 2014 Commonwealth Games. "I believe I've got another two years left in me," Malcolm added. "We've got the World Championships this year in Moscow, so I'm going to prepare for that. "But to be honest the main focus is the Commonwealth Games next year. I'm just building up towards that. "I've always loved running and at the end of the day you're a long time retired so you might as well keep going as long as you can. "I've come to the twilight years of my running now and things which used to be easy I find quite difficult now." 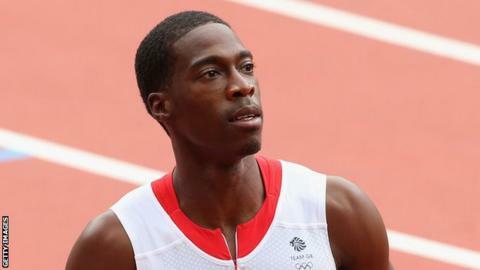 Cardiff-born Malcolm, a four time Olympian, does not believe he has fully fulfilled the potential he showed as a junior. He won 100m and 200m gold at the Junior World Championships in 1998 but says injuries hampered his progress. "I believed I could have been World champion and Olympic champion one day and it didn't quite happen," Malcolm said. "Now the sport has moved on and I've got a lot older and I still haven't got those medals in my cabinet which I believe I should have had. "But saying that I have to look at the positives and the positives are I've been at the top of my sport for the last 16-17 years. "A lot of sprinters haven't been able to achieve that."